Big Lots, Inc. www.biglots.com is an American retailer based in Ohio that specializes in everyday consumables of house ware, toys and season items at closeout prices. It is traded publicly on NYSE:BIG and has 1490 locations in 48 states. In 2014 sales/revenues were reported as US 5.1 billion. If you want to contact Big Lots about a product or service you may call 1-866-244-5687. You may also find online help here. To contact CEO, David Campisi, address your postal letter with: Big Lots Corporate Offices, 300 Phillipi Rd., Columbus, OH 43228-5311. The headquarters phone number is 614-278-6800. Sol Shenk started Consolidated International, Inc. in 1967. It was later called Odd Lots and in 2001 became Big Lots. The marketing goal of Big Lots is to ‘help people connect with their inner bargain hunter’. Social presence is found on Facebook, Twitter, Pinterest and Instagram. He said he would take them in the back and almost said he would throw them away but he caught himself and said so I couldn't buy them. That is a very discriminating remark. This happened twice when I walked into this store. A tall white employee gentlemen called me a queer. He has dark black hair or dark brown hair. This occurred on 08/13/18. This happened again last month. Also I believe your machines are not working properly. I purchased a dvd saw your employee a white female run the skanner for my discount and it did not register. I noticed this when I arrived home. An associte name luanne came to hepl but bisides help us she staring to complain about. She was so dsrespectful and inprofetional no clue was customer service about. I will never go back to that store!! N i realy love that store, but after that experience i don t!! I bought 5 of these pots. One on 4/2/2017 and four on 3/27/2017 for a total cost of $82.21. Does not include 9.5% tax. Pictures attached. 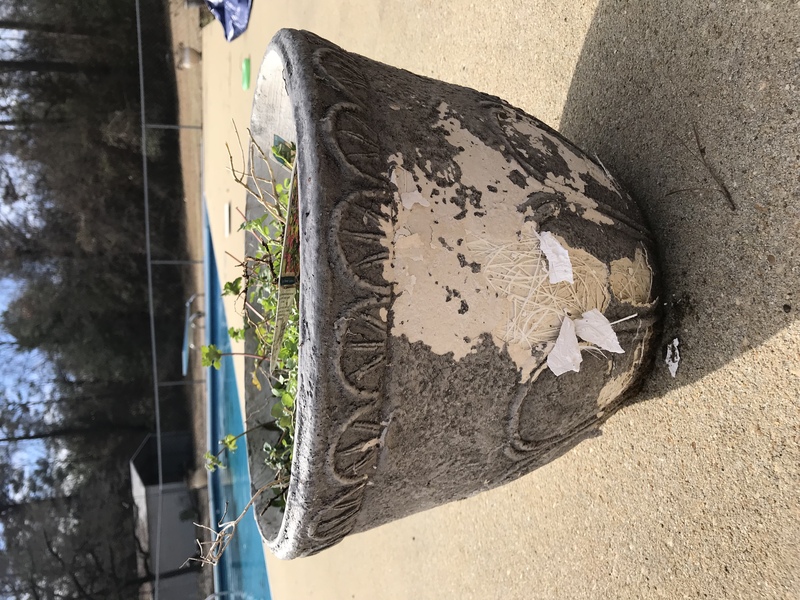 These pots are not that old. They are all crumbling apart. I still have receipts. Observation: how does the Big Lots store in murphy, NC stay open? There are hardly ever any cars in the parking lot and when you go in you find out why. The place is junky and its not a friendly store. Its just not a pleasant place and is there not a dress code in appropriate clothing? The employee I saw had on tan pants that were way to small. Thats not appropriate on any size person but especially a larger person. This store is the black eye of other big lot stores. I got a few things on my trip but I don't think I will return. On July 03, 2016 like visited the Big Lots establishment located at 7323 FM 1960 Road, West Houston Texas 77070-5801 at 1:08pm transaction C1609024. I purchased items from the specialist furniture department (salesman) l purchased 2 bar stools one was on clearance and the other was regular priced. l left the store with a bit of concerns of people skills that the gentleman (salesman) and l encountered. The gentleman 's dialogue was to me out of order when l asked him if l could get the one assembled. I have worked for Sam's Club 25 years plus and if l was to ever entertain a customer with such words l would be given a warning. I felt the gentleman (salesman?) could have said Ma'ma you can get this assembled at a later date and time. Even though there was 2 other Bar stools displayed like the one l purchased which was 3 already displayed even though those was with a small dinner table. My concern is that the Big Lots employees dialogue was not received as his best, cause certainly l could have been a mystery shopper for corporate and his choice of words would have been rated potential status can be improved. l not asking the salesman be removed but to seek public people skills in house videos. Thanks, your Big Lots continuous shopper. We purchased a "Petite Foyer" portable heater that was on clearance on 5/2/16 at store #0175 on Bardstown Road in Louisville, Kentucky. When we got it home and started unpacking, we found the unit was damaged. We repacked the item and returned to the store to exchange it. Upon arriving at the store, we were not greeted. We waited for a few minutes and then I politely advised the lady at the counter that we wanted to exchange the item. The clerk stated that she didn't think there were any remaining. However, there were 5 boxes sitting about 5 feet from the counter where we stood. The clerk said that we needed to check with another person that was out on the floor. We did so and that person stated that we needed to go back to the clerk at the counter. We did so and took one of the cartons with us to do the exchange. We then asked if we could open the new box to make sure is wasn't damaged. The clerk then said, "I think they are all damaged." I could not believe she made that statement. So, I asked her, "Why are you selling damaged merchandise?" She did not answer. At that point another worker approached us and said that she was wrong. She proceeded to open the box. We did not see any damage, so, we accepted the new item and loaded it and loaded it into our vehicle. She was not call anyone to assist us with loading the item into our vehicle. The clerk at the checkout counter was extremely rude and totally unwilling to assist us in any way. I feel that this clerk needs to be reprimanded. If she is that dissatisfied with her position, I would suggest that she find other work to perform that did not consist of dealing with customers. i purchased a container of cat litter today and attached to the container was a 1.00 off coupon. The cashier stated that big lots does not honor coupons. How can you sell a product with a coupon attached and not honor the coupon? I have contacted the supplier and expressed my displeasure with them as well. As for shopping at big lots going forward i will make my purchases elsewhere. I sent two emails and still haven't receive any response on 11/29/15 & 12/1/15. I went to Big Lots on 11/29/15 to redeem my coupon that was only given to customers based on what they spent on 11/26, 11/27, & 11/28. The coupon has to be redeemed from 11/29 to 12/4/15. I was told by the clerk and the manager on duty (Marty) that I could not use or redeem my coupon when I went into Big Lots on 11/29/15. They were knowledgeable about the coupon, and the manager was clueless, and just agreed with everything that the clerk said. He didn't even try to read the coupon or resolve the issue in any way. I explained to him about the coupon and what it said, and he didn't even seem to care about anything I had said. His attitude was basically to me, "just go away". Why would customers be given a coupon to redeem later for what they spent on specific previous day, and then when you go back to redeem the coupons on specific dates, it's not honored? This store is the only Big Lots store located in Clovis, NM 88101. I would appreciate a response to my complaint. Like I've stated, I have written twice to Big Lots corporate offices and still haven't received any response of any kind. Thank you for your time and attention. I went into your big lots store at 7951 S. Broadway in Littleton,CO. I was shopping for a birthday gift for my Grandson. When I was in the toy isle I noticed a Dinosaur toy(prehistoric pet) that was on an advertised sale for $15.00. When I took this toy up to the register it rang up at $39.99 I showed the cashier the sign and stated it was the only one back there and the sign was on the self directly under the toy. She called the Assistant Manager(Payton) and he stated he could not make the choice as there was a big difference between the two prices and the advertisement expired on 10/29. He called a store Manager(Linda) and she asked if it was the same sku#, and the cashier said no it rang up as a prehistoric pet however not a pterodacyl. So what is wrong with this? Advertisements not being pulled a toy that has the same name (prehistoric Pet) and the store did not honor this. I can't begin to say how upsetting this is for the consumer. This leads to very bad business. I was returning two Big lots pet sweaters and just wanted to get smaller size IF they had any more if not I would keep the ones I bought they did not have any more so I went up to get them back and the Big lots cashier sold them they were mine not hers to sell. She never asked me to do any paper work to return them she just did it on her own I will not walk in to another big lots again to me the cashier was at wrong and should not have her job if she does what she damn well wants to. My sister and I was simply Christmas shopping for my son when police officers approached us in the store and said they had been called by store management that someone who matched our description had been shoplifting. When the officers asked to look through our purses we obliged and then they checked our pockets in the middle of the store making us feel like we were criminals. After being humiliated we left the store and I called and talked to the assistant manager. She said a customer had come up to them and said two women were stealing back in the toy department. She said she called the police to stay out of it. She also said that we were wearing heavy coats when we came in.This is West Virginia it was below freezing outside. Not once did she ever apologize for the incident, in fact it only made me feel worse. When I contacted the corporate office they told me they would send this to the distict manager and he would contact me by tuesday. I guess I wasn't good enough for him to talk to because the Store manager called me and said this was the police fault. She them said she had a gift card for me. This isnt about money, they embarassed me in the store and assumed I was guilty of something. The only thing I was doing was Christmas shopping for my son. My husband, happens to know some of members of the police departnent and they have a different story. They put the blame on the store. Apparently, with both sides blaming each other, no one even cares about us. Mistreated and falsely accused I guess they don't care how their customers feel. I will never shop there again and I will tell everyone I know how we were treated there. This is so frustating that no one in Big Lots seems to care. You can't put my dignity back on a gift card. Big Lots seems to have bought my address from somewhere and continues to send unwanted adverts. I have tried using the unsubscribe feature but it dioesn't ever wotk. I have contacted their people on the contact us feature and let them know I would contact FCC, BBB and my lawyer if it didn't stop. just got another one. guess I sue. I purchased a Linksys cisco router model# wrt120n I can't find the receipt and the cable company told me I didn't need the router. I can't return it because I paid cash! What's the deal, I pay cash for a product, never open it and can't return it? How is that good business? I am usually a regular shopper at your store but have never been treated like this! If this is new company policy, as the manager said, it's not very fair to a cash paying consumer! Isn't there any way they can track the product to bring up the transaction so I can get a refund? Thank you. I was at the Fort Smith, Arkansas store today and I want to address how appalled I am with the way I was talked to and ultimately laughed at as I was leaving. I purchased some home furnishings and at the same time got a rewards card (which will collect dust after today). I selected two pictures to purchase for what I thought were ten dollars each. The pictures did not have a price anywhere on them, so like any normal person who reads from left to right, I saw that the tag on the left corner and it said ten dollars. When they rang up for fifteen I questioned it and the lady went to look and I followed her. She pointed to a tag on the RIGHT bottom corner and said see they are fifteen. She did not check the sku number, the picture that was in the slot was different, but so long as she didn't have to do anything that is what it was. Then I requested a manager because I felt the price should be honored because people read from the left or the price is centered. I bought a t.v. stand last week in the bangor maine store and I got it home and put it together and it was totally warped on one side. I was not a happy customer,but I am not able to bring it back because it is 3 tier glass,so i had to keep it. I paid 130.00 dollars for it but i think that big lots should do something about it especially being right in the box.I will not buy any thing at big lots again and i will let people no how i think that i got ripped off. Big Lots store # 0575 Hampton Plz, 5363 Gunn HWY, Tampa Fl, 33624, I went into shop, first wewnt to the rest room 10/30/12. !0:30 am restroom was very dirty,washed hands NO Paper towel. looked at signed sheet to see when last cleaned. Signed for previous evening. went back next day to have my husband look at a item, I went back to use the restroom and it was worse than the day before. Washed my hands and had to go from the back of the store to the front to ask cashier for paper towels to wipe my hands. She never said a word, before leaving the store i checked to see if anyone had cleaned or put towels in their and they did'nt. This tells me your employies dont wash their hands either. I when to Big lots for a return i bought the Item for my kitchen shelf and it did'nt fit . I had the receive, but I explain to the Lady that I had a Death in the family and lost the receive in all the pain in our family grief, but she said no I would lose the money and I have to keep something I;m never going to use.I think she could have given me store credit, but she also said no. what up with that I go to Target with no receive sometime i get store credit its not like your not going to sell the item. Today I went to Big Lots in Greenville, Pa to return some book shelves I purchased two days ago. The bookshelves were not what I wanted. I went to the register and ask the associate (Pauline) if she could get someone with a dolly to help me get them out of my car. She asked the manager if she should call "Bob" to help us. The manager said, "Yes". The associate (Pauline) called Bob over the intercom for a return. The manager said. "No"! He needs to bring a dolly with him. He's not going to come up here for a return." The associate didn't understand as the manager was not standing close and said it in a mean way. The associate asked her what she said. The manager said. "Never mind, I'll get it myself"! With that she took off in a huff. The associate should never have been treated like that especially in front of customers. She was speechless and embarrassed. I told her just because she got out of the wrong side of the bed don't let her put you in the wrong side, too. I was waiting for the manager to come back out so I could tell her she was the one that showed her true colors. No employee deserves to be treated "less than." I still hurt for her. Have feedback for Big Lots?